Is it too early to be dreaming of the beach? Never! 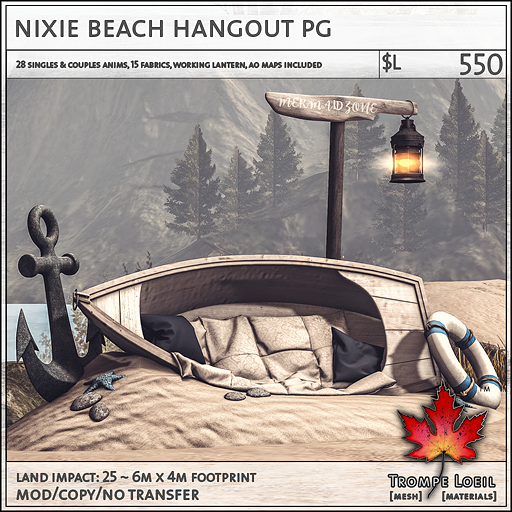 Trompe Loeil’s new Nixie Beach Hangout and matching Beach Beds will sail you and a friend away to warm sunny shores! 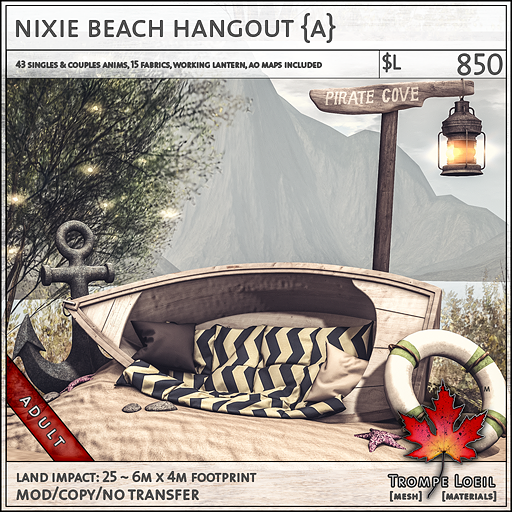 The Nixie Beach Hangout seats 2 in your choice of maturities with singles and couples animations, 15 fabric patterns, matching pillow colors, color change starfish and life preserver, driftwood sign with fun messages (or blank), working nautical lantern, and AO maps for the sand base, blanket, and pillows so you can customize it exactly how you like! 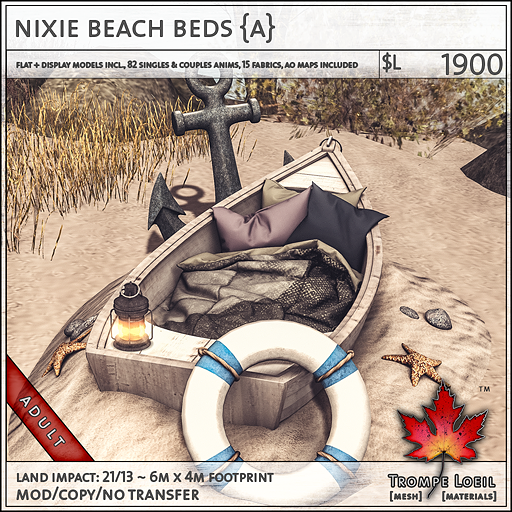 We even include the matching sand texture for use on your region! 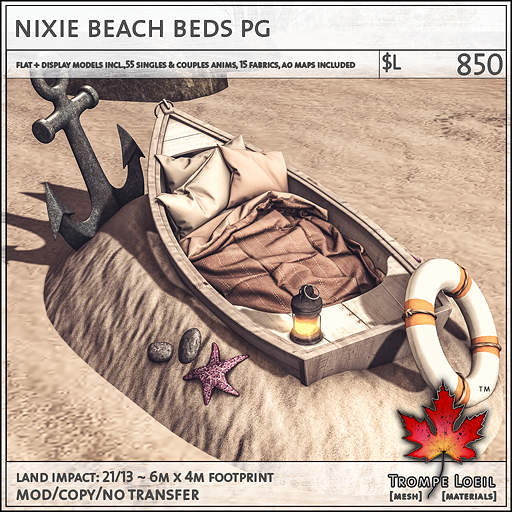 Plus, the matching Nixie Beach Beds share the same nautical look and accents in a full display or individual flat model – we include both! Also available in your choice of maturities. 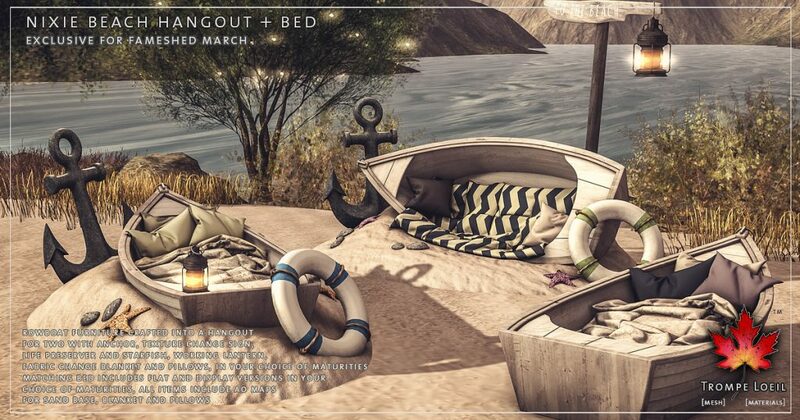 Check them out at the March round of FaMESHed!